One of the few joys of being known in the Bus world as an impartial photographer is that people in the busworld are cordial and eager to meet and interact with you. Such is what happened to me when I met Senior Captain Mutai GK. He's a simple man, with a simple air about him, yet what he does for a living is anything but. 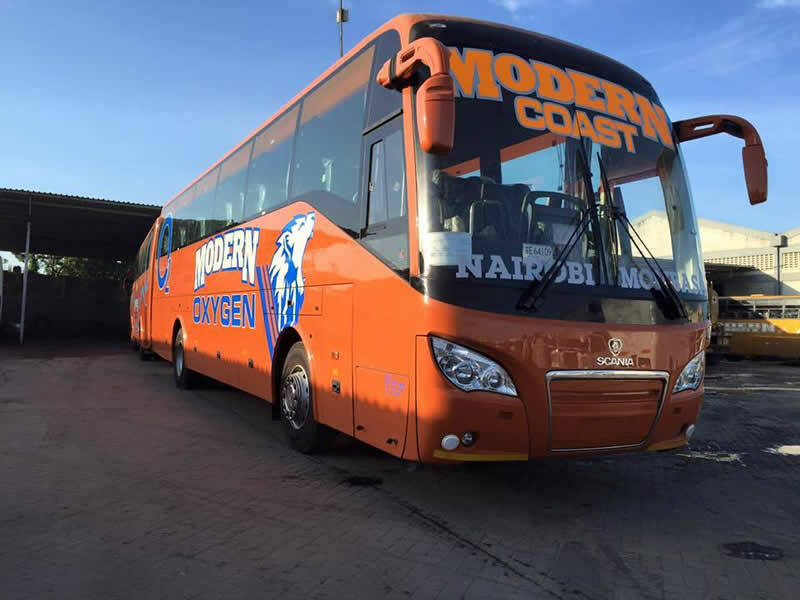 He is a senior driver in Modern Coast Express Ltd, specifically assigned to their top of the Range Scania Higer A80 fleet branded "Oxygen" Plying the Mombasa Nairobi route twice daily. That particular night, he was the Captain in charge of KCE 800J, one of the two buses Dubbed "Bamboocha" because of their orange paint. 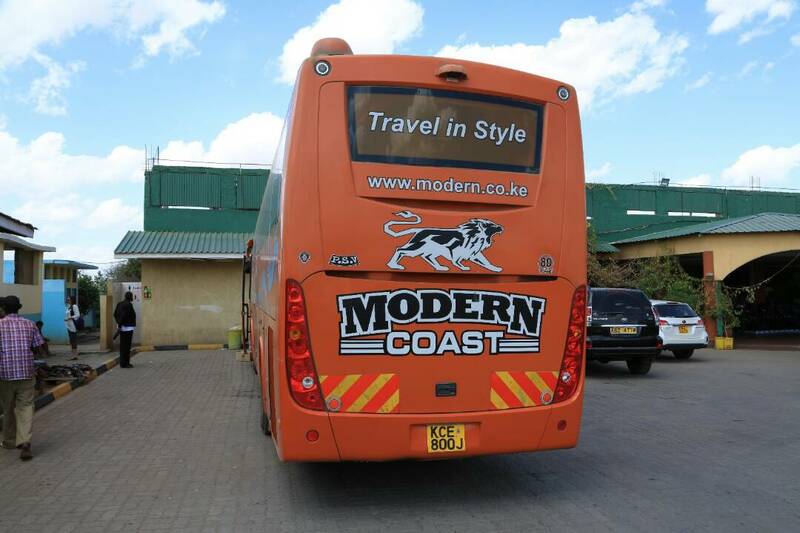 The bus stood out from afar, it was parked at their Lebanon office along Kenyatta Avenue awaiting its time to go and board at night. The orange paint makes a statement before you even step on the bus. On Spotting me, Mutai Opened the door for me and I climbed aboard to salute him. Immediately, I felt so much better, that perfumed, clean, crisp and conditioned air just made me feel so much at peace in the bus. (Mombasa air is so hot and humid and so heavy). The air-conditioning system within the bus is unique to the two Bambooochas and having sampled many a Higer in My day, I see that it's true. No other system I know of makes the oxygen this breathable and it doesn't assault you, it creeps its way out of the vents as judicious wisps of air. I walk to and fro the bus, sampling the seats and making small talk with Senior Mutai. The Seats are made by specific order from Higer Co. plane class. The Business Class seats are very comfortable and do recline fully. There is also a USB port on each seat and a pop-up AVOD(Audio Visual On Demand) screen. The First Class seats, which are actually my favorite, are just four on the passenger's side of the bus, quite more roomy and have a partition and armrests with a Swivel AVOD Screen per seat. The VIP seats are just two on the driver's side, a bit larger and more comfortable than all the other seats on the bus, swivel AVOD standard. The AVOD system on the bus is unique to itself, an entertainment hub within the bus. It's actually unique, a console pre-loaded with Movies, Series and Music that are displayed continuously like a Television service. You just switch on and select which channel suits your taste. There are four TV channels and one Music Channel which is under the control of the crew up front. You just plug in your headphones and you're in your own world. 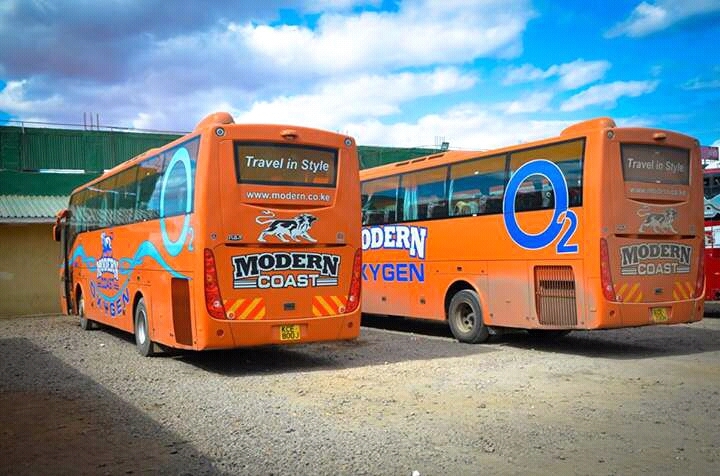 Its a heavenly experience available for all passengers to use at their own leisure. I am sold on Bamboocha. To Experience A Memorable Experince With Modern Coast Bamboocha, Visit Any Modern Coast Office Near You Or Visit Their Website On www.modern.co.ke . 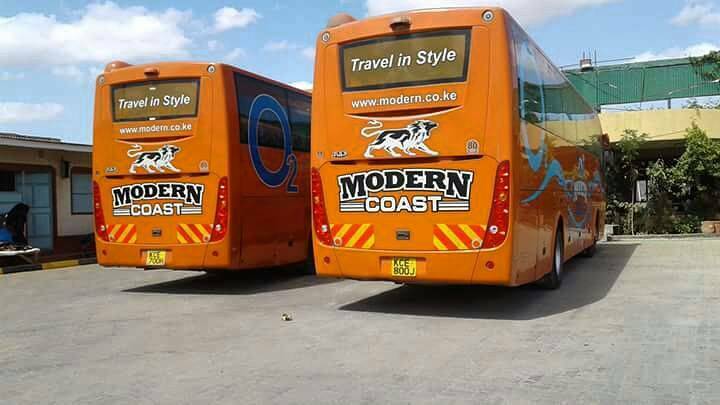 Modern Coast, Travel In Style.